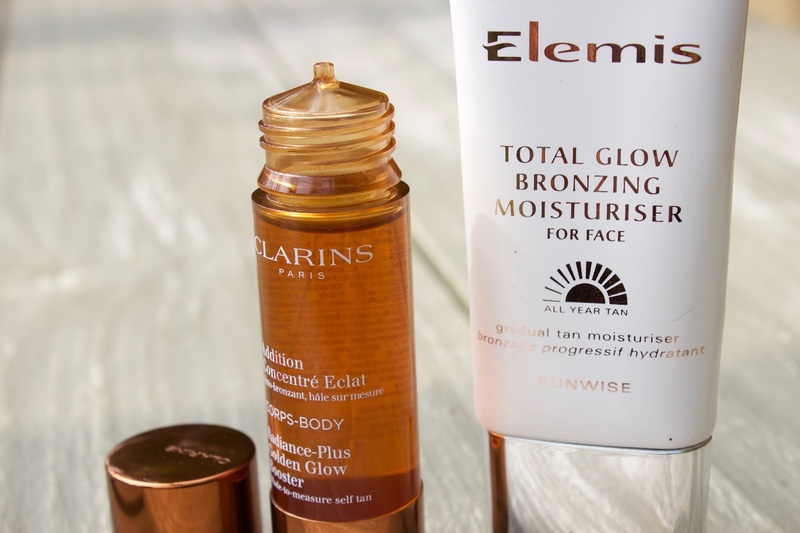 For the past month I have been religiously using this combo of the Elemis Total Glow Bronzing Moisturiser and the Clarins Radiance-Plus Golden Glow Booster, to prolong a healthy glow that I picked up on holiday last month. If you know me, you know that I am all about skincare and something I have always appreciated is healthy, glowing, clear skin. 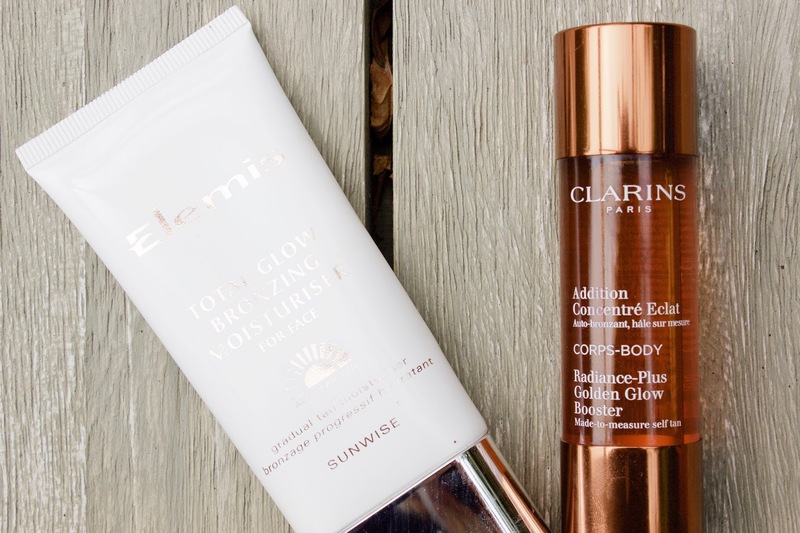 This is why I am always on the look out for something that will give me a glowy and healthy looking complexion. 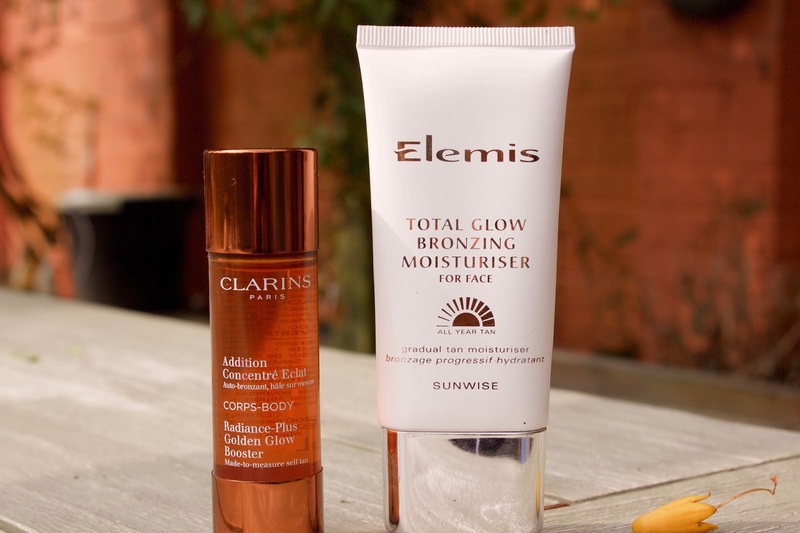 The most obvious and probably common go-to for a brown face and body is using your favourite fake tan, but I find that most fake tans looks ok on my body, but if I use it on my face I look like I've just rolled in mud. Not to mention that there is no way of hiding the obvious fake tan on my hairline. Perks of being a blonde..
As soon as I got home from holiday, and felt that my tan was quickly slipping away, I whipped out these drops so that I could try them out. I have been so obsessed with them over the past few weeks that I HAD to share it with you. All that is required is your mixer. 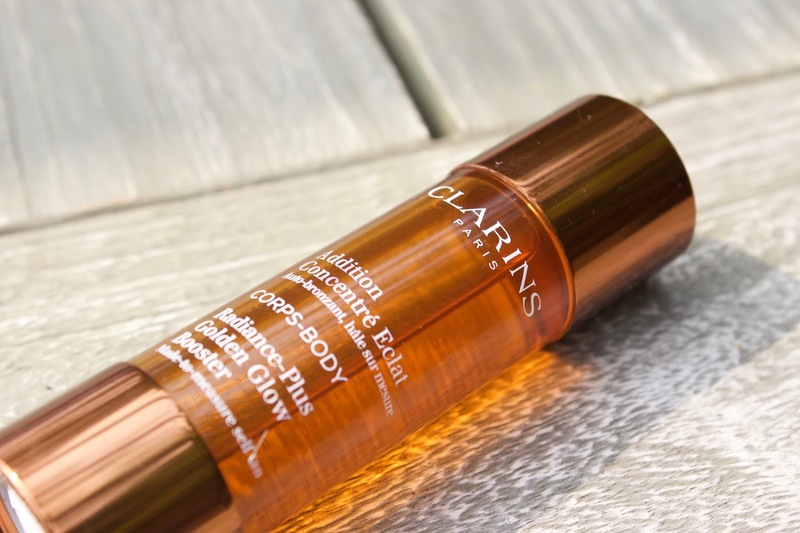 Grab your favourite moisturiser, apply your usual amount into your hands and then add in a few drops of the Clarins Golden Glow Booster. Mix them into each other and then apply your moisturiser as normal. You can use it on your face and body! Make sure you add this to a moisturiser though. After two days of using these drops I noticed that my skin had a lovely healthy glow with an added bit of holiday colour in. As a fair person, it is always so obvious when I am wearing fake tan on my face but when the girls said my tan had stayed really well from my holiday, I knew I had them fooled. I cannot recommend this product enough. I know there are lots of similar products out there that do the same job but to me this product is so unique. The rest of my holiday tan has pretty much ran a mile off of my body but I haven't stopped using these drops at all and it just seems to blend in really well. What I love the most is it doesn't go patchy like normal fake tans, it doesn't sit in your pores, it doesn't leave dribble marks and when you stop using it, it just wears off naturally and it is not until I realise how pale I am looking again that I notice I need to re-apply! Oh, another bonus- it doesn't transfer onto clothes/bedding. If you are in the market for something like this, or fancy trying it out then you can purchase it here.